Northern Kentucky author & attorney Rick Robinson is back in Washington, DC where he spent years on the staff of then-Congressman Jim Bunning. As a busy staffer on the Hill, it's easy to miss the beauty of our nation's capital. And that's what happened to Rick. This time, he vows to take it all in - and share it with you in "Second Time Around". 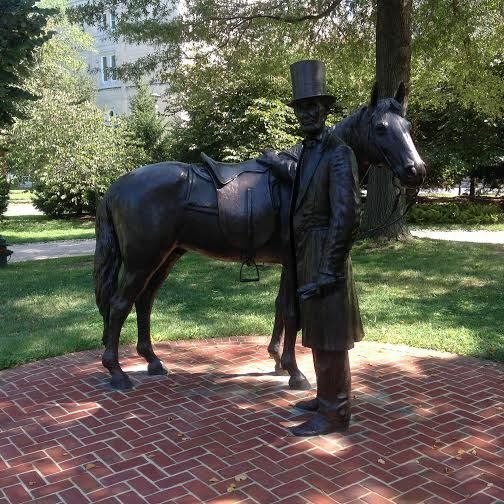 In the last edition of this column, RCN readers were asked to recommend places to visit in DC. Jeff Eger suggested the Lincoln Cottage at the Soldier’s Home. Before there was Camp David, Presidents had a place in the northeast corner of DC to retreat the hot confines of summer in the city. Presidents Buchanan, Hayes, and Arthur all made use of the cottage as a Summer White House. However it was Lincoln from which the cottage got the most use, staying there with his family between June and November during each year of his presidency. The house has a lot of history associated with it. Most notably, Lincoln wrote the first draft of the Emancipation Proclamation there. And he visited the house the day before he was killed at Ford’s Theater. The Lincoln Cottage (pictured above) was only opened to the public in 2008. It is considered a national park, but operated by a private foundation. In other words, touring the grounds is free, but there is a fee to tour the house. While the cottage is open to the public, the retirement and treatment portion of the facility is considered an active military base. Wandering too far from the cottage will get you a friendly visit from the MPs to keep you on course. 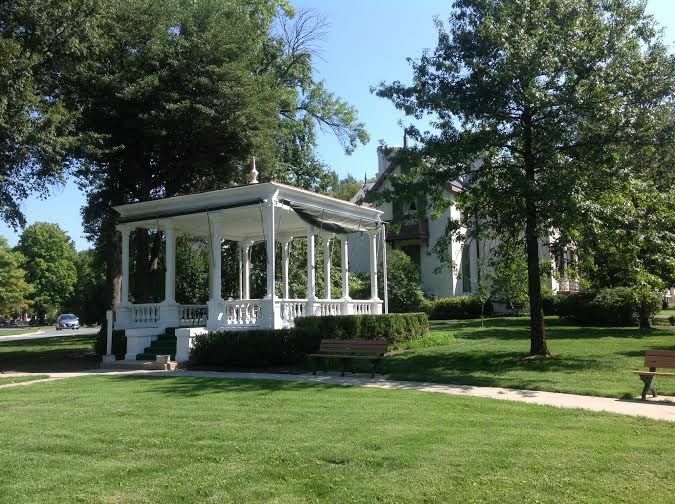 There is a painting in the education center of President Lincoln talking with his military leaders in front of the house as his children play near the gazebo. The grounds are so serene, you can almost picture the scene and feel Lincoln’s presence. Walt Whitman cared for his injured brother at the Soldiers’ Home and lived nearby. He wrote extensively in his journal of how he used to watch Lincoln on his daily commute to the White House on horseback. 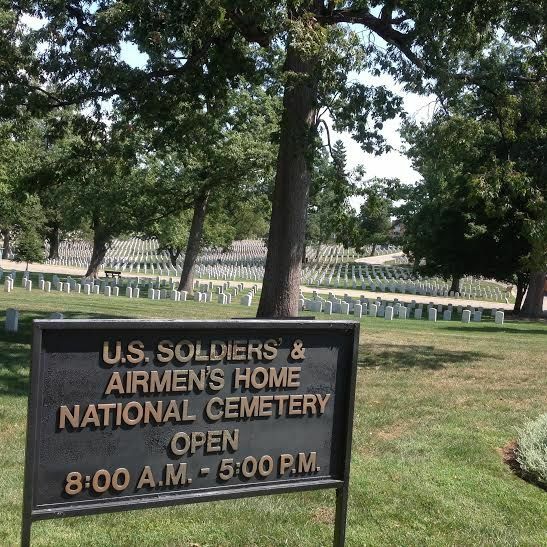 Forgotten in the glory of Arlington National Cemetery is the US Soldiers and Airmen National Cemetery. 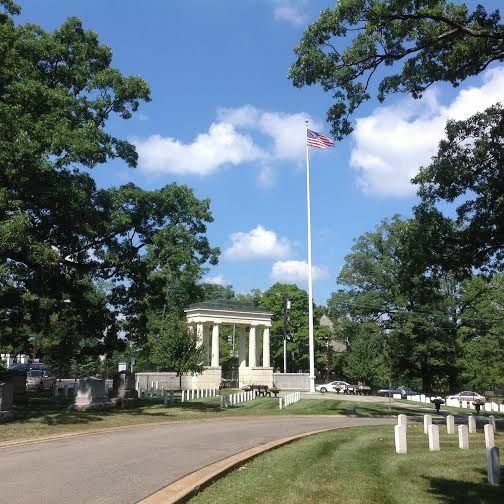 Located adjacent to the Soldiers’ Home it resembles Arlington, but is much smaller. The entrance to the cemetery in its understated beauty. Don't miss Rick Robinson's Alligator Alley! 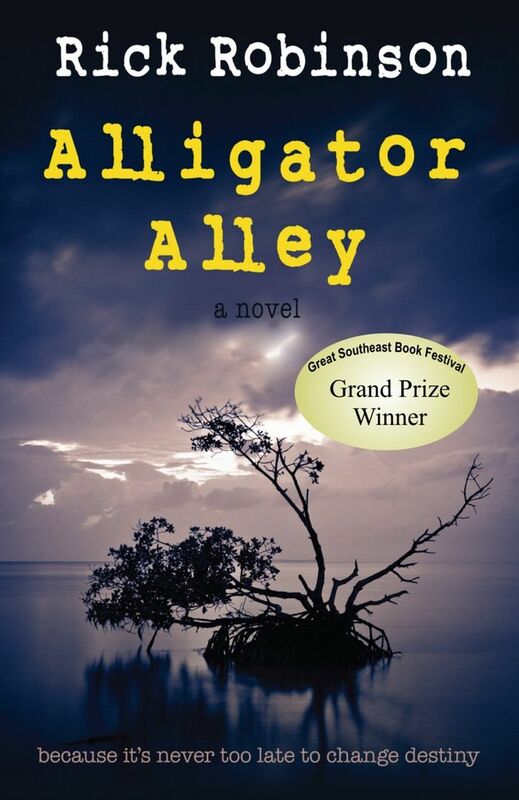 His contemporary novel Alligator Alley is a story of growing up in a small Kentucky town (dare we say Ludlow) and won the Grand Prize at the Great Southeast Book Festival in New Orleans. For more on this award-winning locally-inspired book, click here.